...is being worked on. No it's not out yet so don't get too excited. I thought I ought to post a status update, however. The popularity of the map loader still surprises me - after all it was a learning project which I started 3 years ago now (a long time in the world of programming) because I wanted to load TMX files from Tiled for a project I was working on. While the map loader has certainly come a long way since, and supports some features of which I am very proud, it is, ultimately, a buggy, poorly designed mess. A few months back I set out to address this, and created a new branch on the github repository. I've even worked on it a bit. So far I've taken the peculiar naming scheme I used at the time and replaced it with something that regular SFML users will be used to. I've paid serious attention to the build system too - the CMake file is much improved and compatible with KDevelop and QtCreator. 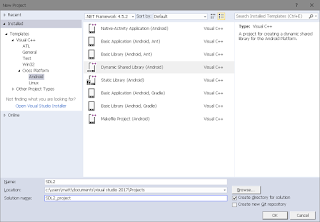 There's also an included Visual Studio project for the library and example files. On top of this I've made sure the interface is properly exported so that the library can be built as a shared library, either a .dll, .so or even a .dylib. I've worked on a few issues from the tracker too, including vastly improving the MapObject class, making the most of SFML classes such as sf::Transformable. Unfortunately there's still some way to go before a full release, I've updated the issue tracker where I can with bugs and features tagged for the 2.0.0 milestone which I'd like to fix and implement eventually. Time, as ever, is the enemy unfotunately and I just don't have enough of it to work on all those issues right now. I'm not abandoning the project, but I would like to put it out there that I, and all the other users of the library, would certainly be grateful for any contributions (as well as to all the existing contributers). Hopefully a community driven version 2.0.0 will prove to be a vast improvement over the current version. You can preview the already superior version of the map loader by checking out the 'next' branch of the repository.